Top Weight Watchers specials now? In case you haven’t noticed, we’re pretty fond of Weight Watchers here at priorfatgirl.com. Why? Because in our humble opinion it’s the best diet option, allowing you to live a healthier lifestyle without feeling restricted. It’s also consistently ranked as the #1 weight loss diet in America. Weight Watchers Store – Food, etc. Click to view today’s featured promotion! *Discounts based on 3-month savings plan. Click any promo for more details. Before considering any signup promotion, you’ll want to ask yourself a few questions to make sure you’re choosing the right plan. All plans include the WW app to track your progress, plus WW recipes and online tools. I recommend adding meetings if you can. Don’t be intimidated, everyone at a meeting is really supportive, and that’s why people who attend them lose more weight. I don’t think the “coaching” plan is worth the money, as it doesn’t replace the personal support and motivation offered by meetings. However, if you choose not to add meetings, be sure to take advantage of, “Connect,” their private online community of WW members. Not long ago it was rare to get a discount plus free signup, but no more. 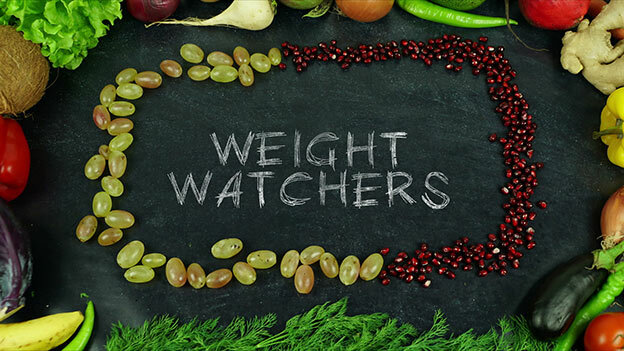 A number of Weight Watchers sales include both a discount on your first 1-6 months plus free signup. It’s a nice $20 savings, so if you have time, wait for an offer that waives the signup fee. WW doesn’t advertise upcoming promotions, so you never really know if a better sale is coming in the future. However, if you have the chance to signup with their “50% off 3 months + Join Free“ special, jump on it! That’s usually the best coupon out there, and it only lasts a few days. As mentioned, if you have the luxury of time, you can save more money by waiting for the best membership sale. Each of our promotions and specials listed above has an expiration date. At 11:59pm EST these coupons and special offers expire and new ones are available. If a mediocre membership offer is close to expiring, hold off on signing up. You can check their offers the next day, and you’ll probably find a better deal. I’ve gotten more than one email about the WW 6 months for $128 promotion, but it’s not a great deal unless it includes meetings. In fact, that deal may be available through Groupon, but I don’t think it’s worth buying. Add Meetings if you can! Meetings double the success rate of Weight Watchers because they add accountability and motivation; two key components to a successful weight loss program. However, attending meetings involves some logistics, specifically an hour each week of your time. If you have a busy schedule, travel a lot, or have young kids, you might not be able to add meetings right now. No problem if meetings don’t fit into your schedule. You can just signup with WW Online Plus, and if you find that you’re lacking motivation or not meeting your goals you can change your membership to include meetings another time. Remember, don’t ever just go to weightwatchers.com and signup, because you can always find coupons and specials. (If you’re a member of AAA, they might even offer you these same specials from their site with a AAA discount) The good news is that at priorfatgirl.com we post these deals as soon as they are available.